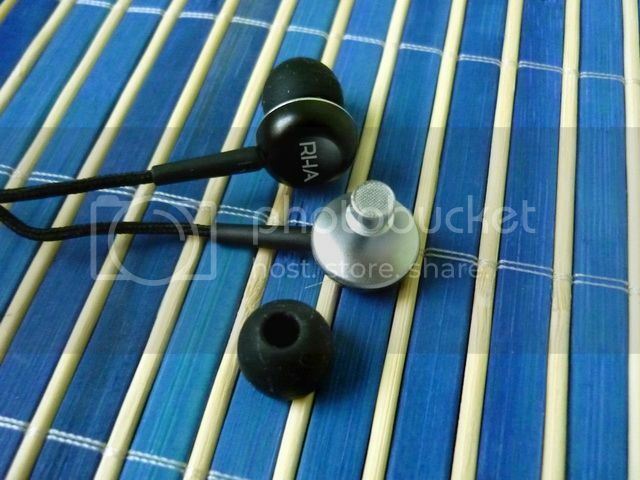 RHA, or Reid and Heath Acoustics, is an U.K. based company that engineers their own headphone. They still make their headphone in China, but the emphasis is on the fact that they are not offering off-the-shelf products rebranded from an OEM company, but take the time to do things right. Being in the U.K. seems to put them in a disadvantage since the overhead of business and general prices of headphone are usually quite high in that part of the world. 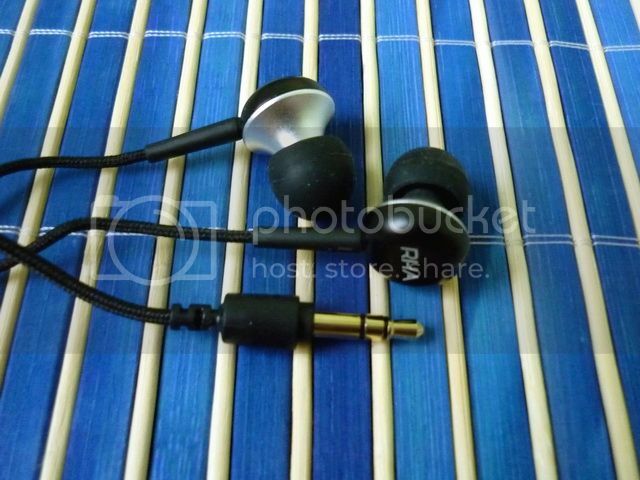 However, the company do have big plan for releasing higher end IEM. The MA-350 under review is however their first model and oriented toward the budget market for just under US$50. Packaging is decent – plain and simple, nothing to praise or complain about. Same can be said to the included accessories. Beside the three pairs of different sized eartips, there is only the soft pouch. However, the good news is they are all well make and you don’t have to worry about getting aftermarket eartips. The IEM itself is quite good in build quality as well. 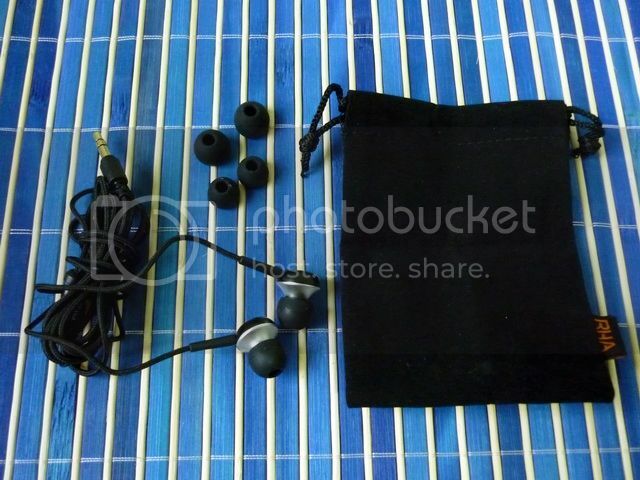 The earpiece is full aluminum, anodized finished in two tone color - nothing real fancy but nothing to go wrong either. RHA calls the housing an ‘aerophonic design’ (as in the shape of funnel to focus sound), which of course we have seen before on IEM such as DUNU Trident. Leaving the discussion on whether the shape itself helps the transmission of sound or not, one obvious benefit is that it allows for a relative large diameter transducer to be used without side mounting and yet maintain a comfortable fit. Strain relief, stereo plug and Y-splitter are all well built. 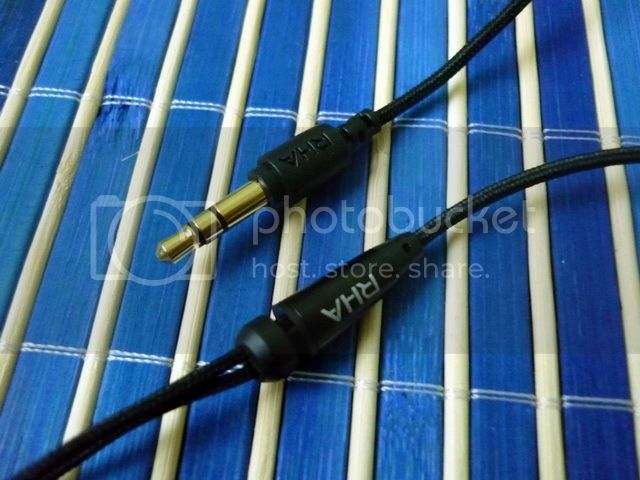 The cable is fine as well but it has a fabric sleeve, which means it has some microphonics issue. It isn’t particularly severe but it is noticeable. If you can’t stand microphonics at all, just wear the IEM over-the-ear should fix most of it. Overall the IEM is well made and decent – won’t win a beauty competition nor wow your friends, but totally fine as an everyday IEM. Over 50 hours of burn-in was given to the IEM before the review, no significant sonic change was detected. The over sound signature is bass driven and warmish – think Klipsch S4, but slightly different in flavor. Bass hits hard and deep – rumble, good body and doesn’t feel dragging. Mid is forwarded, but get slightly overshadowed by the strong bass. However, it doesn’t lose its own character and still gives a decent sense of sweetness and intimacy. Treble extends quite far up but comes with a few shape peaks on the upper female vocal that cause graininess and sibilance. Not terrible enough to discourage a recommendation, but definitely not suitable for those who can’t tolerate brightness in their music. Soundstage is fair. Not particular opening or airy but not boxed-in either. It is more intimate than it is more transparent. Still thinking those S4? Good, because MA-350 is what I’ll call a good competition to the Klipsch. While MA-350 might not look quite as fashionable, the overall sound quality is a close match. S4 wins in having a more open soundstage and better transparency, but loses in bass control and having overly thick body. MA-350 just gives a more natural presentation with the right pace where S4 is a bit slow and muddy. Neither is perfect, but MA-350 makes for a better bass heavy choice than the S4 in the same price bucket. On one hand, MA-350 is a decent sounding IEM that doesn’t seem to have much to write home about. But on the other hand, it has the right price tag and sound signature to deserve some attention, especially from the bass lover. It is not that often you’ll find a bass oriented IEM that are both sub-$50 and offers decent mid and treble performance. If Klipsch S4 can be so popular, I see no reason why MA-350 couldn’t be just as successful – However, getting more international dealers will definitely be a big help. Hopefully that’s something RHA will work on before their next major product release. 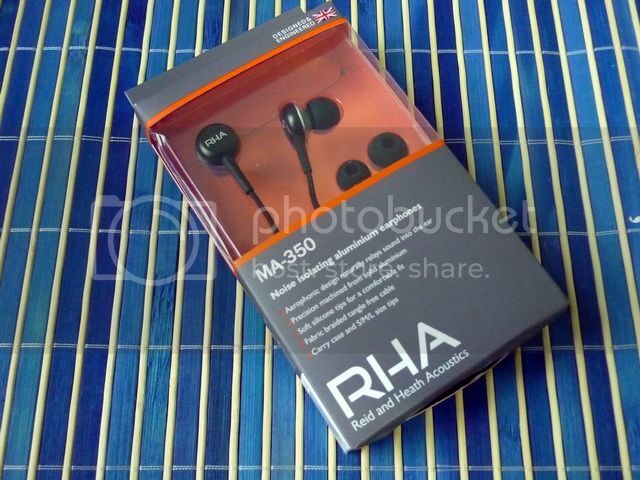 *Thanks to RHA for sample.